Looking for a sporting challenge in south Wales? Enter an ‘adventure race’. 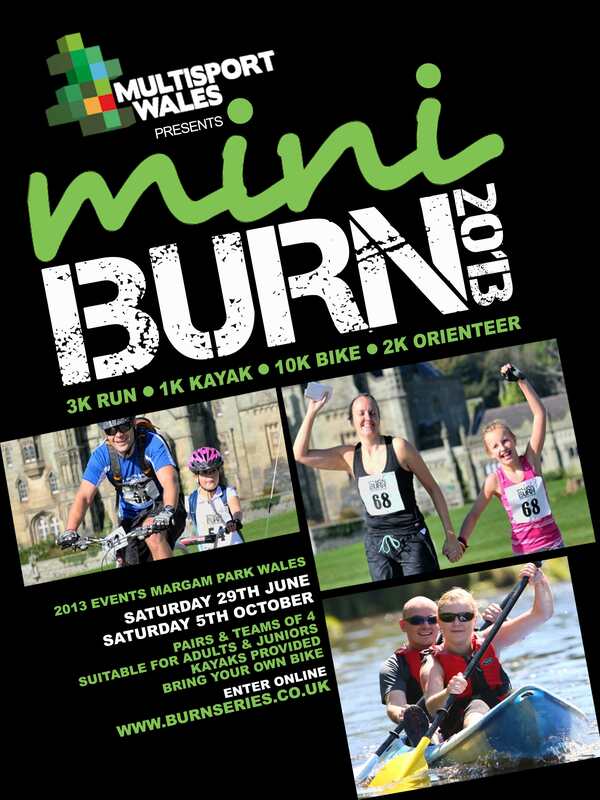 Mini Burn 2013 will take place in Margam Park (south Wales) on Saturday 29 June and Saturday 5 October 2013. If I could only do one event a year it would be an adventure race. Why? You get to do 3 different sports in one event (so you actually don’t need to be any good at any of them), you’ll need to use a map (I love maps), they are typically held in beautiful settings, you can form a team with friends or family and it’s as much about strategy as speed. This event is perfect for those who are new to adventure racing. It combines a 3km run, 1km kayak, 10km bike and 2km orienteering. No experience necessary but you will need your own bike. Adults and juniors welcome. Enter as a pair or a team of 4. Visit www.burnseries.co.uk to enter online. I’ll see you at the finish line!